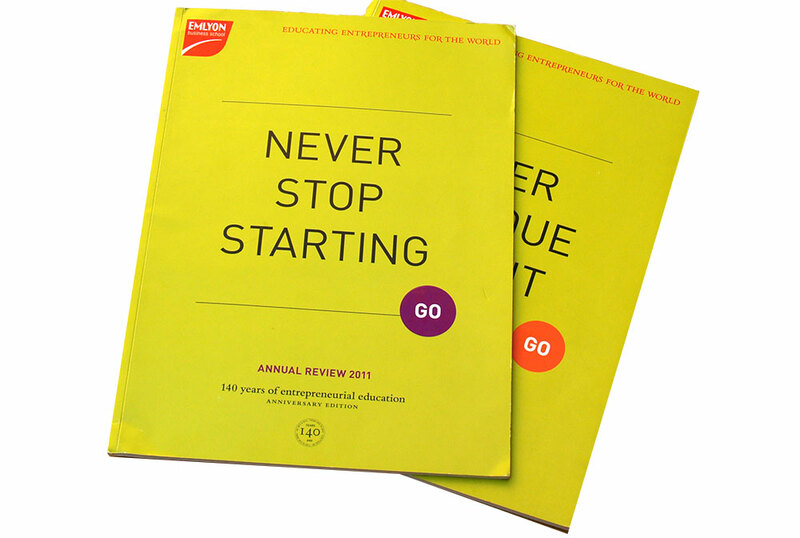 EMLYON Business School require their commercial documents in 2 languages – English and French, which is one of the reasons why they chose to work with us. In this case, the brief was to create a flagship document for the school, more of a corporate brochure than a traditional annual report. A document that would sell the school and present the action and dynamism of its staff. A flagship for the new brand launching it with confidence and establishing it as a leading business school in Europe with gravitas and expertise in its field. 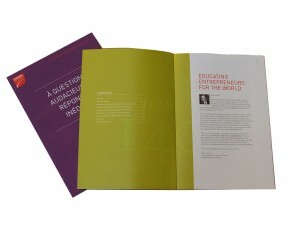 The documents focus on 3 personality values: inspiring, bold and genuine.